This part II of my Tophatter auction review. 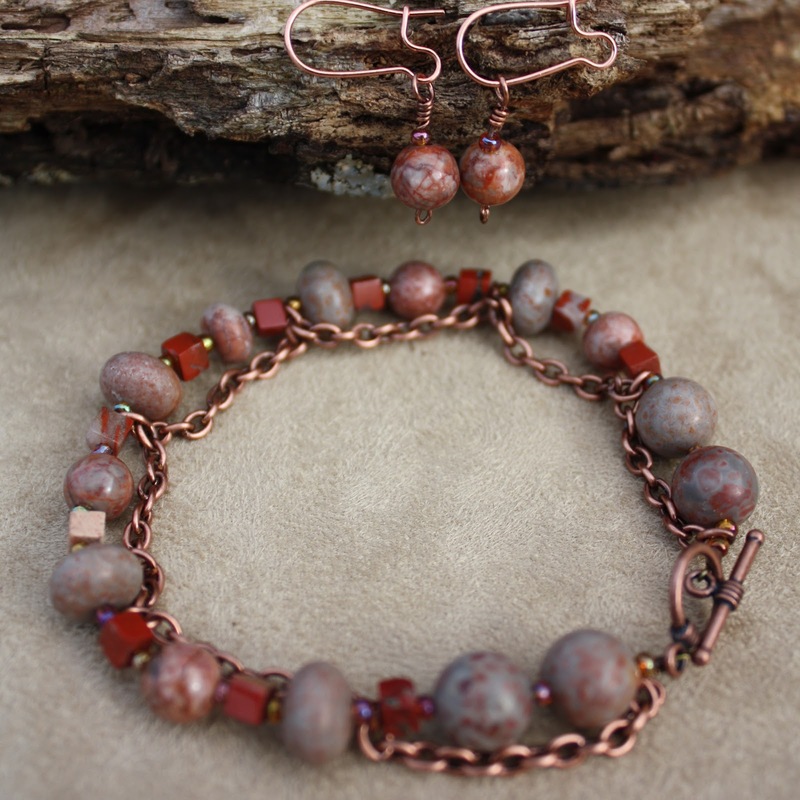 I decided to list a Bracelet & earrings set that I made a few months ago. It's been in my inventory for a while and would be a good test piece. This is listed on all my regular sales venues as a "Serpentine, Fossil and Copper" bracelet & earrings set and is listed at a retail price of $10. As Tophatter is an auction format you have the best chance of setting your price at a minimum value you could live with, and of course hope that it does great in a bidding war. In this first attempt I set the price at $6, with a shipping cost of $2. The auction began at 9am PST, so noon here on the east coast. I was excited, my item was the second item of the auction round involving at least 100 items. One nice feature of Tophatter involves sending a text reminder to yourself for items of particular interest. Because there are so many things, this will reduce the amount of time you might have to spend waiting in front of the computer for things you are not interested in. The auction began with 140+ people in the 'room'. There is a live chat feature with a moderator, an auctioneer and the customers, all chatting very pleasantly. The auction started promptly and the 1st item went without a hitch. Next up, my bracelet & earrings set......crickets....crickets...... alas my item did not receive any interest. I was disappointed, but not completely discouraged. I immediately re-listed the set, which was scheduled 5 days out. Tuesday the 15th. In order to protect buyers against fraudulent sellers, new sellers can only schedule a single lot at a time until they sell 3 lots. After that, priority scheduling is granted to sellers based on their statistics on Tophatter. I came back on Tuesday the 15th to re sell my item. As before, I was excited, but not quite as jittery as the 1st time. Once again my item was listed near the beginning. For the re-listing I dropped my price a bit to $5 with $1 shipping. I hated to do that, but Tophatter asks for honest assessments to protect buyers & sellers in the long run. I did try to re-list it a 3rd time, but once again because I am a new seller there is a waiting period. So the big question, would I recommend TopHatter? Even with my less than favorable selling experience, my buying experience was very good. I would recommend this venue and will certainly give at least one more try before I throw in the towel. Through the internet the world of handmade goods is growing and expanding in unexpected ways. I think that utilizing all available avenues is just good business sense. As always, Thank you for taking the time to read this. Your comments are appreciated. I'd say you're setting your price too low. Keep it at the two dollar shipping( if that's what it costs in your area), and if you have it in your shop for $10, I'd actually up your lowest to $7. That's 30% off. If it's been in your shop for ages and gone through two auctions, however, maybe there's something that you need to consider changing. What size is it? Maybe it's too big or small for the majority.. or if the size isn't listed, maybe that's putting people off. Maybe add a bit more sparkle or shine to it? Perhaps replace a few of the beads with crystal or copper beads? I don't know really..I'm just tossing out some ideas, but seriously, don't drop the shipping price OR your asking price. I did go to the TopHatter site, but was disappointed that I would have to sign up just to enter the site. Think maybe they should change that. I'm with Skye, I wouldn't lower the price. I think one thing to keep in mind is that, as I understand it, TopHatter is an auction site that sells anything. 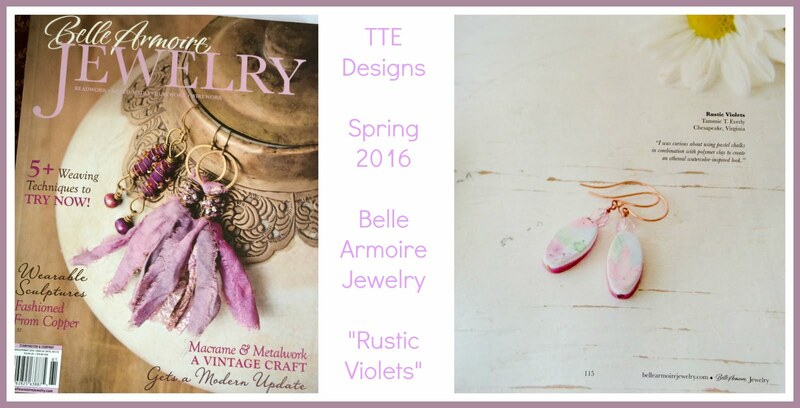 So you may have discriminating jewelry buyers, and then again, you may not. 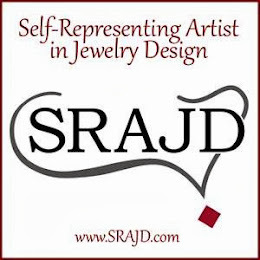 When someone searches for jewelry on Etsy or Artfire, they are looking for quality handmade jewelry, and they realize the value of what they are purchasing. On an auction site, this may not be the case. I have visited Tophatter several times, and it seems people are mainly bargain hunters. There are a few things that go for a "decent" price (a couple of which I won), but when they came, was disappointed in the actual quality of the items, which did not truly show in the photo from Tophatter. To me they are NOT worth it. From what I've read on the Etsy forums, customers canceling sales on Tophatter is quite common. When I have items that don't sell, I tend to do what Skye does and re-evaluate them. Sometimes I've sold items just by changing out the photo and not doing any redesign! Thanks for the feedback everyone. I agree that Tophatter may not an ideal venue, but it's good to have a lot of options for selling. I hope to review other venues & opportunities too. I appreciate you all taking the time to comment on this post. I tried TopHatter today for the first time (watched, asked a few questions, but didn't bid) because I saw a friend was going to try to sell there. It confuses me a bit, but the community thing is kind of cool. For auctions, this might be good for jewelry (keep trying it out, let us know) because I know Ebay is awful for it. Thank you so much for this blog! I have been looking at Tophatter for two days, and bought needed supplies there, however I do have to work up the courage to sell items or 'lots'. This part 1 & 2 review was very helpful and the above comments were as well. I am feeling less anxious in regards to getting off my fear boat and getting items posted there. I think I'll sit back and take my time deciding if it really is worth the exposure for my Etsy site or for selling an item way below it's value. Thank you for all the responses very helpful. And yes, Ebay has not been my friend when trying to sell jewelry.